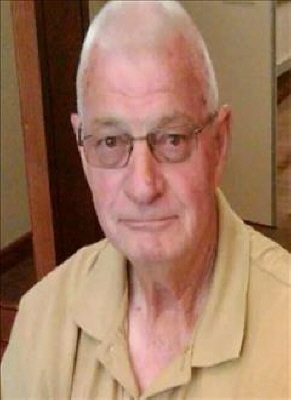 Roger Dale Propest, 77, of Duncan passed away Sunday, November 4th, 2018 in the Comanche County Memorial Hospital. Services will be 10:00 AM Friday in the Ray Of Hope Church with Reverend Mike McCord and Ronnie Bernard officiating. Interment will follow in the Duncan Cemetery under the Bailes-Polk Funeral Home. The family will receive friends for visitation fro 6-8 PM on Thursday. Roger was born June 12, 1941 at Montague, Texas the son of Jessie Santford and Linnie Mae (Phillips) Propest. He and Shirley Roberts were married at Mangum, Oklahoma on April 27, 1963. He worked as an oilfield lease operator for the Stephens and Johnson Operating Company. He enjoyed working on cars, bowling, and most loved spending time with his family especially his grandchildren and great grandchildren. He was a member of the Moose Lodge and attended the Ray of Hope Church. He was preceded in death by his parents brothers Steve Propest, Johnny Glenn Propest and a sister Phyllis Lynn Propest. Survivors include his wife Shirley Propest of the Home in Duncan; son Dale Propest of Duncan; daughters Tina Propest-Roberson and her husband Mike of Duncan and Deanna Propest-Johnson and her husband Shanon of Duncan; brothers Jon Propest of Iowa Park, Texas, and Phil Propest of Covington, Texas; 10 grandchildren Sheylon Roberson and wife Abby, Katelyn Roberson, Jessye Green, Amberleigh Muehlebach and husband Peter, Nathan Rushin, Alayna Propest, Olivia Propest, Ryan Rushin, Camden Propest, Chandler Johnson and 6 great grandchildren Chesnee Roberson, Paislee Roberson, Ellee Roberson, Sway Roberson, Maverick Muehlebach and Mila Muehlebach. Pallbearers will be Mike Roberson, Shanon Johnson, Sheylon Roberson, Camden Propest, Zac Belcher, Garlin Earnhart and Bill Mauldin. To send flowers or a remembrance gift to the family of Roger Dale Propest, please visit our Tribute Store. "Email Address" would like to share the life celebration of Roger Dale Propest. Click on the "link" to go to share a favorite memory or leave a condolence message for the family.